Is that clear? Crystal clear! Those of you who read me regularly are probably trying to find the fossil in this rock. Jokes on you! There is no fossil. This isn't my rock. But it is a very important rock. Maybe not the one pictured, but ones like it. See, a clear calcite crystal is also known as Icelandic Spar. And that's also known as a Sunstone. What's a Sunstone? Well, simply put, it's a crystal that will allow you to locate the sun when it's grey and overcast. There are Viking sagas that tell of Sunstones. The sagas say the vikings used the sunstones to navigate from their home in Scandinavia to Iceland, Greenland and even North America. Scholars thought they were just stories. They figures the vikings travelled west by following the ice pack, or using a stick and string on the bow to navigate when the sun was obscured. Then, in April 1977, a fisherman off the northernmost channel island, Alderney, found his net snagged. He worked at it, and got it free. When he pulled it up, he saw that it had an encrusted musket in it. He had snagged one of the many shipwrecks off Alderney. In 1990, dives were made, and artifacts were recovered. While the name of the ship isn't known, it's believed to have been a British Man of War that was carrying weapons to resupply the troops fighting the Spanish when it sank in November os 1552. Among the artifacts recovered was a large, rectangular piece of Icelandic spar. This got a researcher wondering: 'Is this a mythical Sunstone?'. He started experimenting with Icelandic spar, and found it had the ability to polarize light. Specifically, it was able to separate polarized from unpolarized light. When rotated, they found there was a point where the tow beams of light were the same intensity. They found that, if they viewed the sun through the crystal on a sunny day, and made a mark on the crystal indicating where the sun was in relation to the crystal, that on a cloudy day, all they had to do was look through the crystal until the two light beams were the same intensity. They then noted where the mark on the crystal was pointed, and they were able to tell where the sun was on a cloudy day. Not satisfied with their own results, they enlisted 20 volunteers to use the crystal on an overcast day. by matching beam intensity, all 20 were able to locate the suns position in the sky. But how accurate were they? Were they just locating the general direction of the sun, or were they pin pointing it with accuracy? As it turns out, all 20 located the sun to within 1 degree of arc. For the navigating the vikings were doing, that was more than accurate enough to get the job done. Since that original experiment, the results have been repeated several times. As it turns out, the stories of the sunstone were true. Vikings were able to look through a crystal and locate the sun, allowing them to easily navigate from Scandinavia to North America. Also, it may be why the vikings were able to navigate further into Eastern Europe and found colonies. Colonies that eventually became Russia. 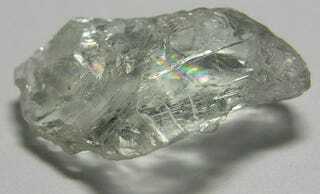 It's not known who, when, or even how it was discovered that this particular crystal would allow for locating the sun. But it's clear that it worked well enough for the vikings that after the end of the vikings hey days, other nations used the same trick.